Our partner Paolo Cignoni from ISTI-CNR and his team (Thomas Alderighi, Luigi Malomo, Daniela Giorgi, Nico Pietroni, Bernd Bickel) presented a technical paper at the SIGGRAPH Conference 2018 in Vancouver, Canada on 12 August 2018. 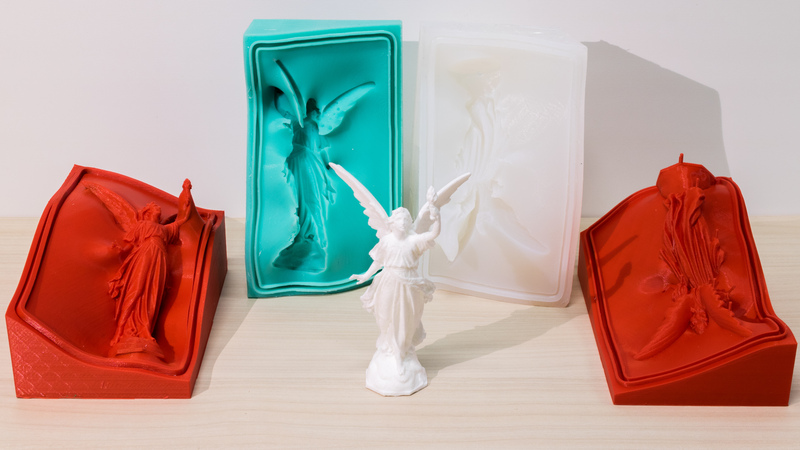 The paper ‘MetaMolds: Computational Design of Silicone Molds’ introduces an innovative, silicone casting procedure for creating physical copies of complex 3D shapes. This casting approach is based on automatically designed silicone molds fabricated by pouring liquid silicone onto 3D printable metamolds. In other words, the new MetaMolds technique will allow small museums to self produce cheap replicas at sustainable costs. Like the gypsum replica shown in the figure that can be created without needing skilled personnel at almost no cost in ~30 mins. Being able to create in a simple and economic way multiple physical copies of art pieces can open multiple possibilities in museums allowing visitors to directly interact with real accurate replicas for a greater emotionally involved experience. This research is proudly supported by the EMOTIVE project and we look forward to see it in action!